Love doesn’t need a reason. 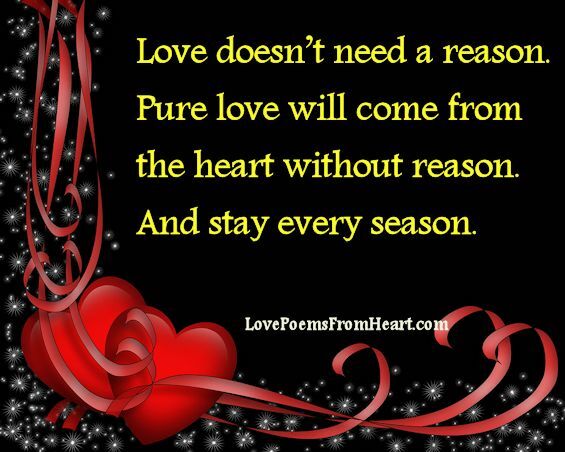 Pure love will come from the heart without reason and it will stay every season. I think this said a lot about how I feel about u. And the beautiful daydream poems. Said a lot about how I fill from my heart. Hope I am not just in a big day dream or making a fool of my self. To you. My older daughter. Who cuts me down every day said I am acking retared.becouse we have never meet.and I am making a fool of my self.she does not even beleven in true love. So I do not even listion to her. Lets please proud her wrong babe. I beleven togetter we can make her a be lever. Love u always. Shannon. thanks for the beautiful quote,you inspire me a lot!